Effective decision makers are those rare individuals who are able to consistently identify and choose the best option among multiple alternatives. Their decisions are imaginative, reasoned, and defensible. In this course, you will be provided with the training and tools necessary to become an inventive, logical decision maker. You'll explore a structured way to approach and dismantle problems, and you'll learn to clarify problems in terms of objectives and issues, with a view toward optimum outcomes. Applying the techniques of critical thinking allows you to dismantle complex problems and to understand the inputs and implications of your thought processes. This training allows you to develop positions on issues that are logical and explicable to others. After completing the course, you'll understand why most decisions are of poor quality and you will be able to impose quality controls on your decisions and the decisions of others. Imagine increasing productivity, reducing waste and improving customer satisfaction by developing a process for effectively solving problems. If you are tired of applying dead-end solutions to recurring problems in your company, this workshop should help you reconstruct your efforts and learn new ways to approach problem-solving, and develop practical ways to solve some of your most pressing problems and reach win-win decisions that you will be confident in. This training is for everyday managers and staff who tackle issues and make decisions affecting the performance of their business. Certificate of Completion in a Hard-bound Holder - You'll never get this elsewhere! Keep your certificate forever in a premium material. See sample certificate HERE. Bay Hewitt reserves the right to cancel learning programs, workshops, seminars or conferences due to force majeure or Acts of God (i.e. severe weather conditions). In cases like this, the program will be re-scheduled to another date and time. We will make every effort to notify all registrants. Bay Hewitt reserves the right to cancel learning programs, workshops, seminars or conferences due to unforeseen circumstances or for lack of participation or required headcount. We will make every effort to notify all registrants. We require at least ten (10) participants to run each workshop; we encourage you to invite your colleagues at work, friends, and/or family members to meet this requirement. The above-described training program is available both as a custom in-house learning program and a publicly accessible seminar. 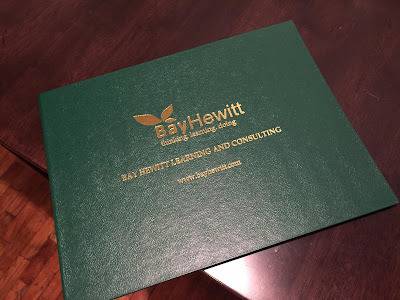 To contact us how to exclusively run this program for you and your company or group and further customize the same to your organization's learning needs and requirements, please email us today at info@bayhewitt.com or call us at (02) 925-1229 in Manila or (032) 513-0988 in Cebu. Beyond Manila and Cebu City, we cover all other areas in the Philippines, including but not limited to Tagbilaran City in Bohol, other parts of Visayas like Iloilo, Bacolod, Dumaguete, Tacloban, Ormoc, or Samar. Covering Mindanao, we serve Cagayan de Oro and Davao, among other cities in the southern region. We travel a lot around the country and all over Asia Pacific to conduct our highly sought training offerings. If you are interested to attend the same as a public seminar only, please see available public training schedules for Manila and Cebu below or visit http://manilaseminars.bayhewitt.com and/or http://cebuseminars.bayhewitt.com.